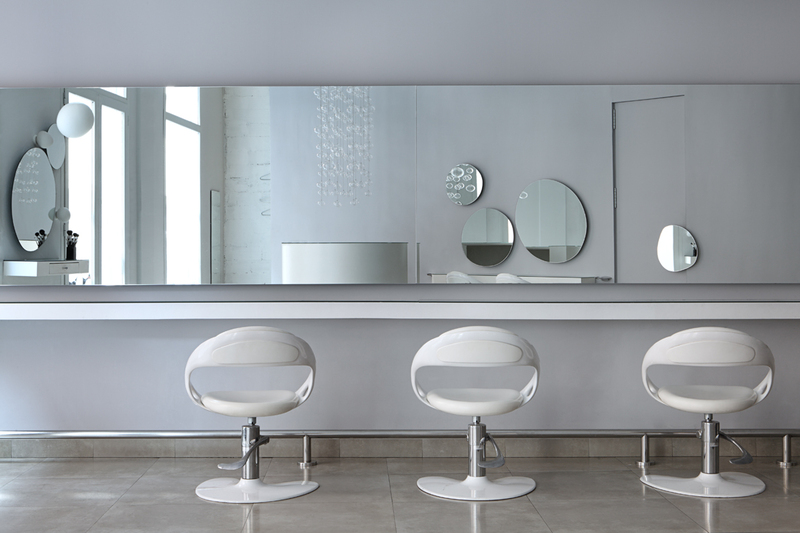 PROJECT_Refurbishment Hairdressing. CLIENT_Carmelo Abad peluqueros. LOCATION_ València. DIMENSIONS_100m². 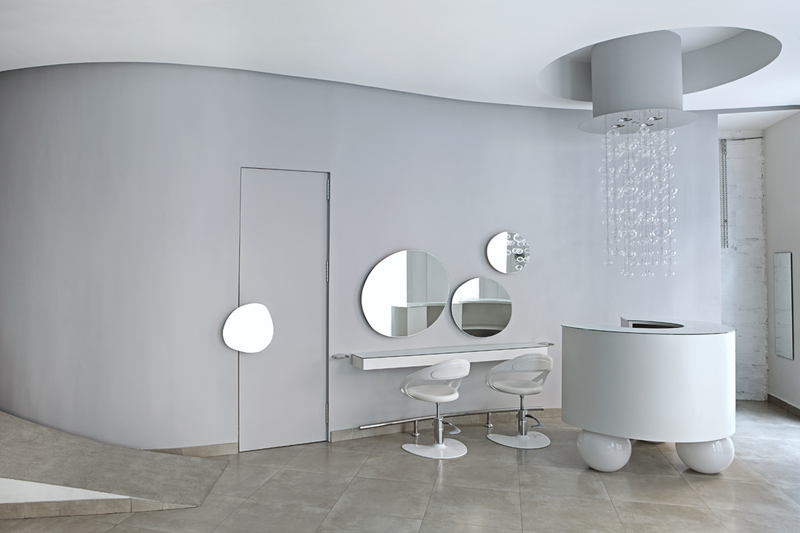 ABOUT_The refurbishment of Carmelo Abad’s salon in the Ciutat Vella was sort of a quest for light at its purest. Everything was designed as to let light fill every corner. It flows from the street reflecting on the mirrors and splashing the walls. It emanates from the glowing objects. It bounces from the floor to the ceiling keeping the shadows at bay. Raucous colors would have spirited this crystal-clear atmosphere away, so we chose a palette of soft gray tones. 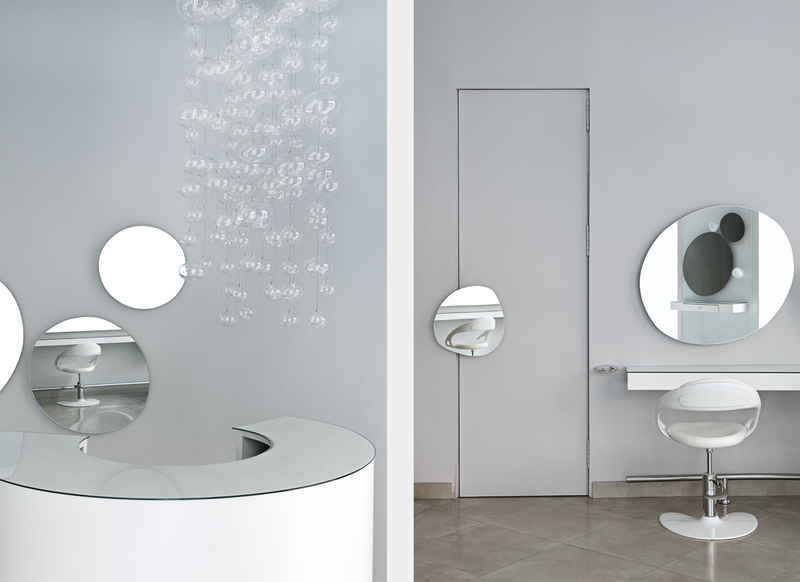 Curved lines and spheres let the light glide smoothly all over the futuristic furniture. Everything is curvilinear: from the lamps like balloons suspended by a thread from the high ceiling and the bubble-like mirrors to the backrest of the armchairs evoking the hollow shell of some crustacean and the half-moon counter desk supported by three giant plastic spheres. All around the place looking glasses glitter, metal finishings sparkle. When you enter the space, it feels cool, clean and neat. 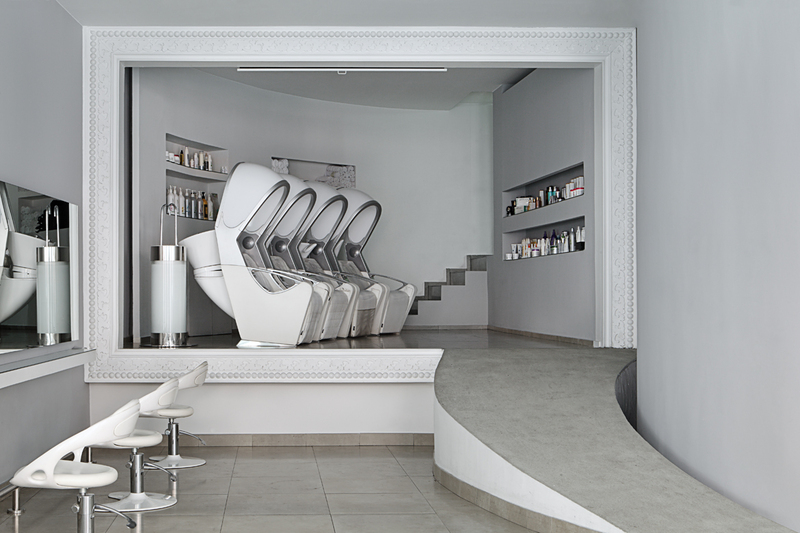 The salon is split in two: the lower level, where the work stations are, and the upper level for the wash basins and the ledges for styling products carved into the wall. A classic molding frames the upper level connected to the lower by a spiral ramp. 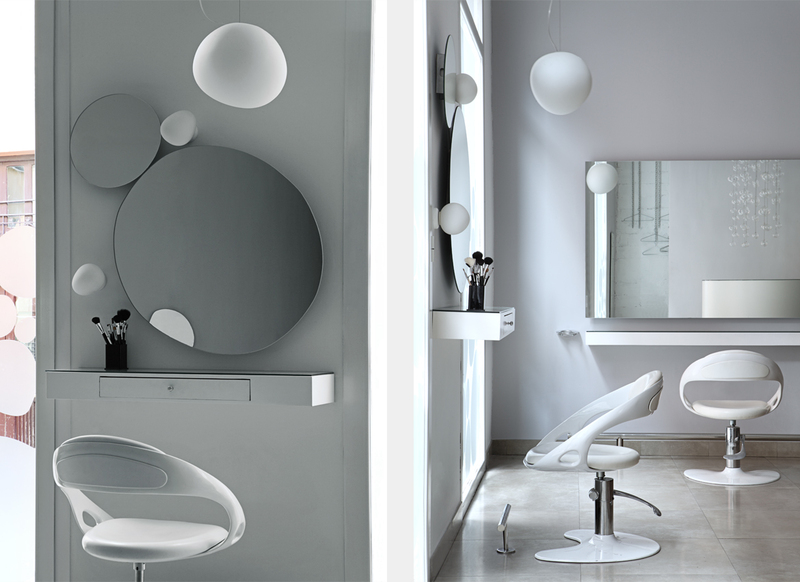 This is Carmelo Abad, minimalism and brightness to redefine the experience of getting a new hairdo.